There are several models explaining the figure of the Earth. 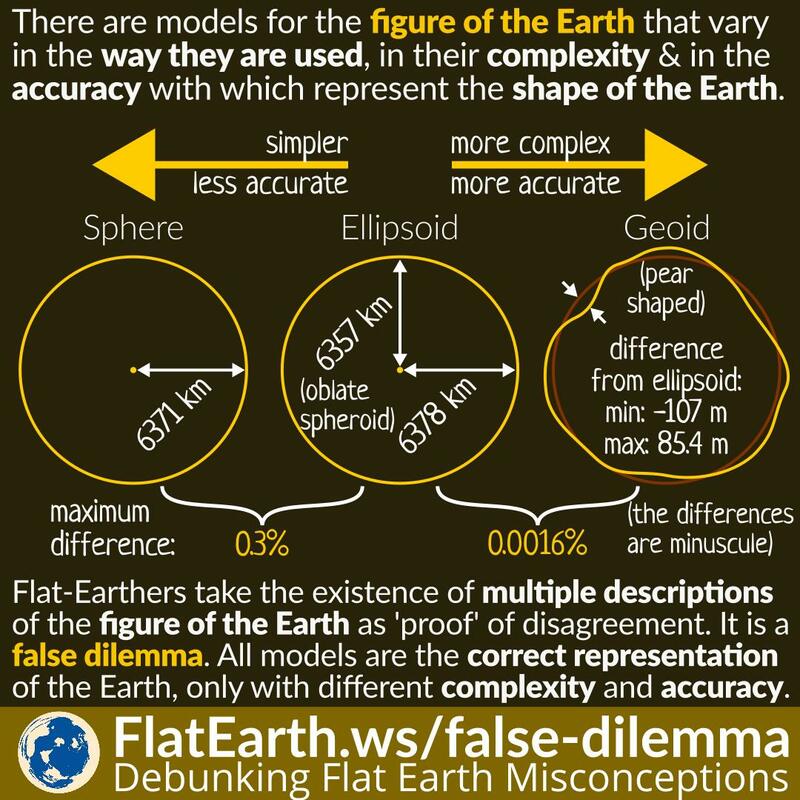 These models vary in the way they are used, in their complexity and in the accuracy with which they represent the size and shape of the Earth. These models are sphere, ellipsoid, and geoid. 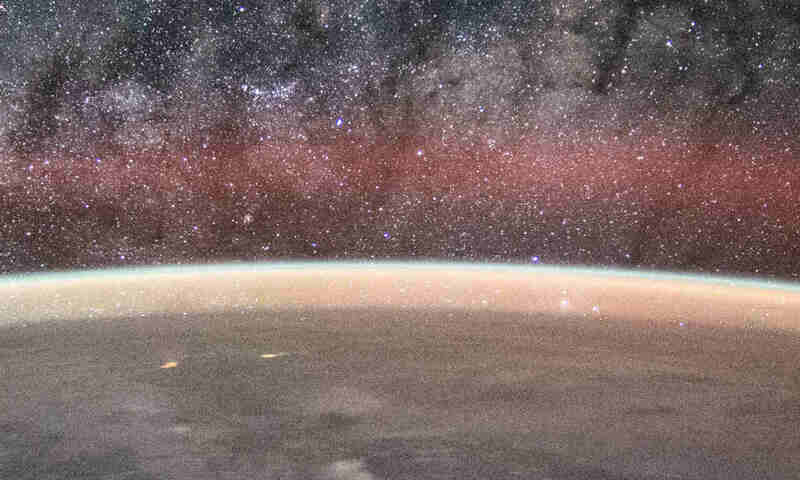 Flat-Earthers often take the existence of these multiple models as evidence of disagreement among scientists, and that the shape of the Earth is still in contention. They are wrong. All these models are valid models, only with different complexity and accuracy. 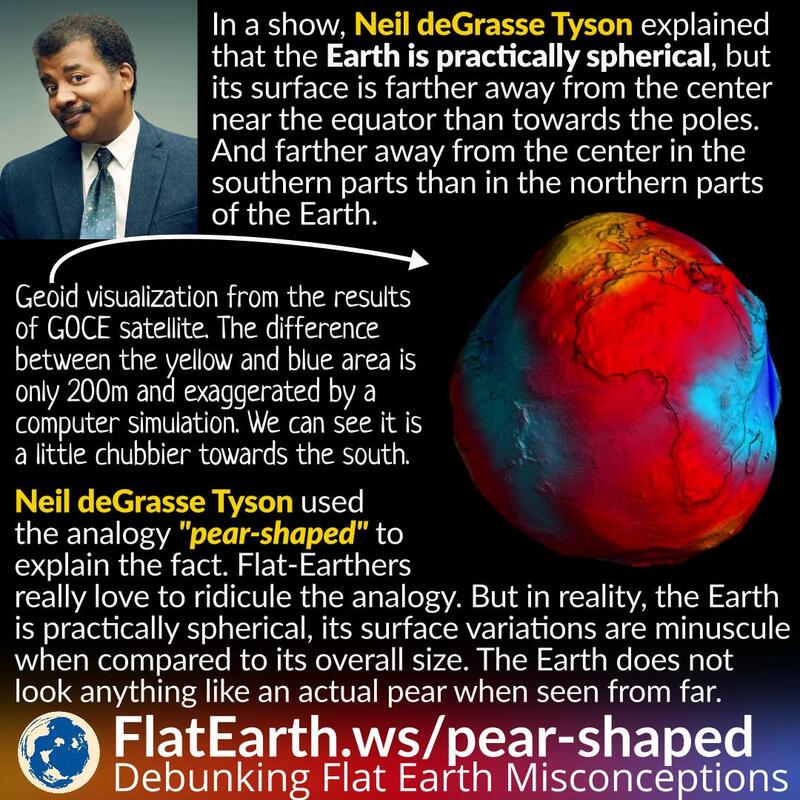 Flat-Earthers really love to ridicule the ‘pear-shaped’ analogy. But they are mistaken. If they watch the entire unaltered video, they will find Neil explained the fact very clearly. 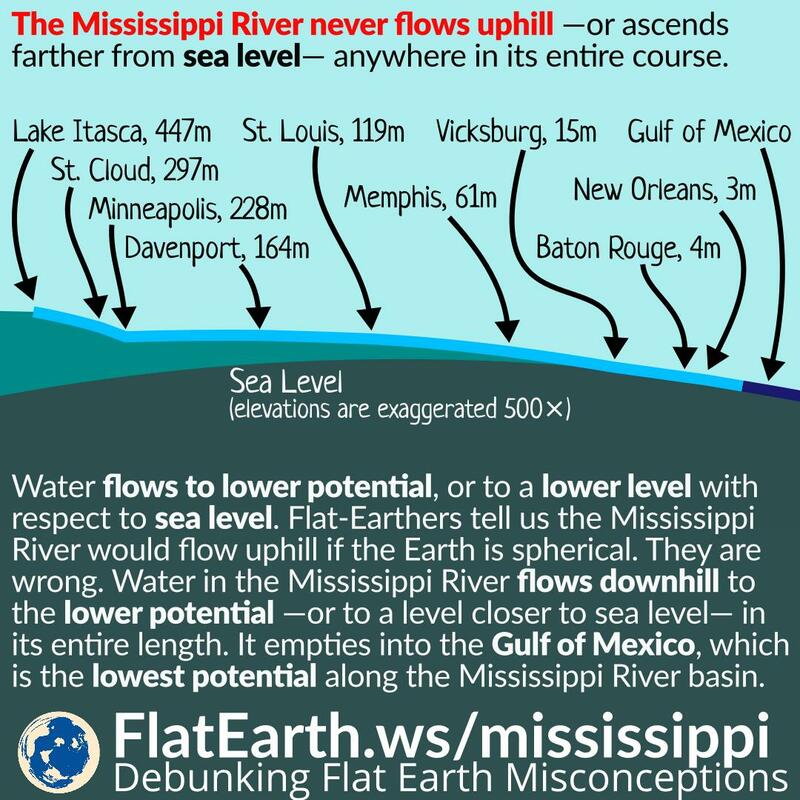 The Mississippi River never flows uphill, or in other words, ascend to a location farther from sea level anywhere in the Mississippi River basin. 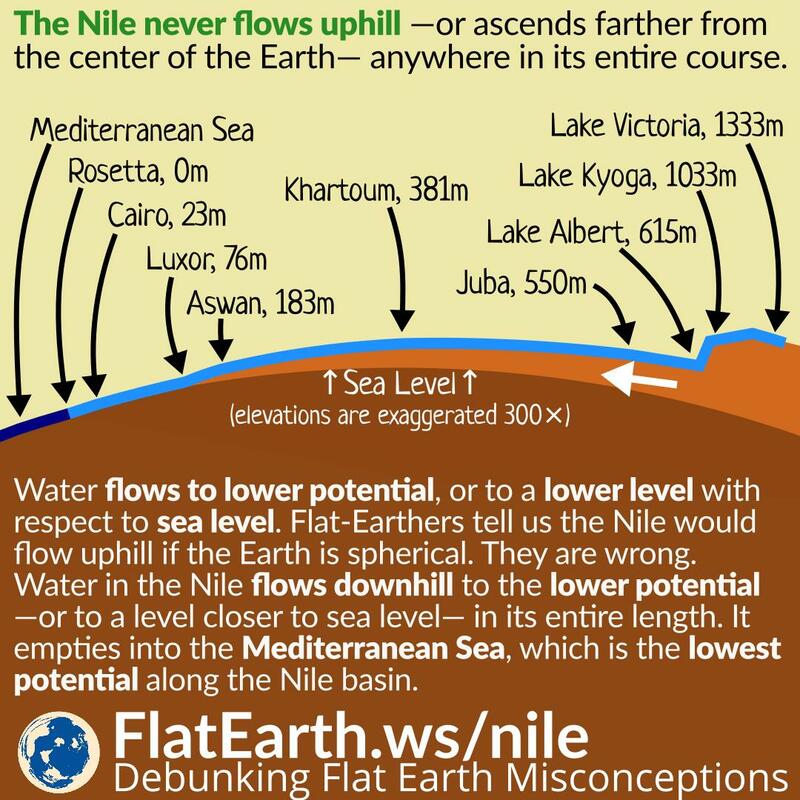 Flat-Earthers often claim that if the Earth is spherical, then the Mississippi River will have to flow uphill to overcome the curvature of the Earth. They are wrong. The Amazon never flows uphill, or in other words, ascend to a location farther from sea level anywhere in the Amazon basin. 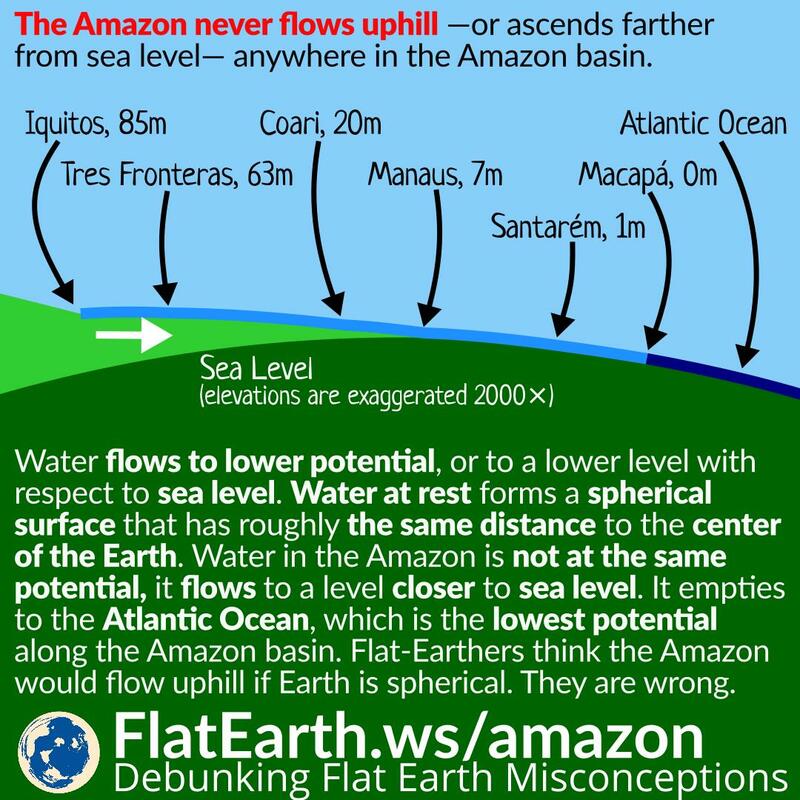 Flat-Earthers often claim that if the Earth is spherical, then the Amazon will have to flow uphill to overcome the curvature of the Earth. They are wrong.